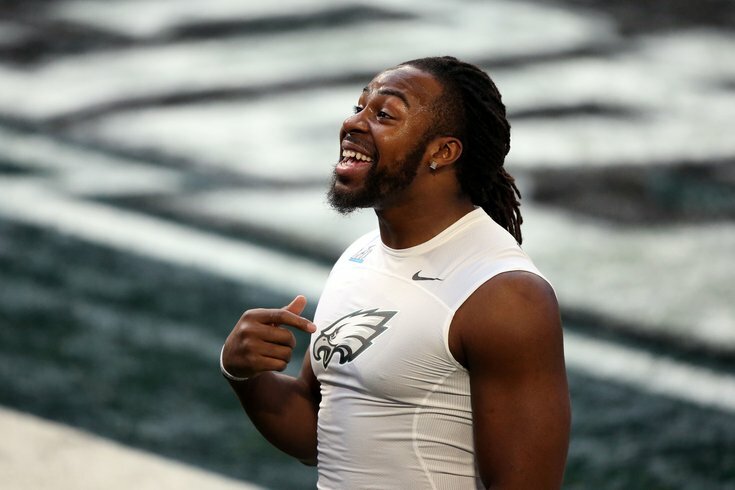 The Eagles' in-season addition of Jay Ajayi last year and the emergence of Corey Clement – not to mention Matt Jones and Josh Adams this offseason – could spell the end for Wendell Smallwood or Donnell Pumphrey ... or both. Now that the winter sports (basketball and hockey) have officially come to an end, that can only mean one thing: It's football season! Sorry, I'm being told it's actually baseball season first – but with the Eagles back at NovaCare this weekend for rookie minicamp, it's as good a time as any to check in on what's going on across Broad St., opposite from where the Phillies have emerged as a surprise contender for the N.L. East crown. The Age of the Eagles? History doesn't bode well for an Eagles' repeat in 2018, but unlike other past champions, the window for this Birds team is just now opening. And failing to return to the Super Bowl this season hardly spells the end of what has the potential to be a franchise in the making. With how many teams that have never won repeat superbowls, is there a strong belief that the Eagles actually make it back to the superbowl or finish lower (how much) and are they now a team to be at the top of the league for the next 5 or more years. So, yes, history is instructive. But, no, a recent history of the NFL does not provide us with clues into the fate of the 2018 Philadelphia Eagles. It's a virtual lock that three of the spots at running back will be taken by Ajayi, Sproles and Corey Clement, the undrafted free agent last season who had 100 receiving yards in the Super Bowl. Reaves still needs to shore up the mental aspect of his game, but his versatility, leadership, ball skills, dedication to the gym and film room combined with his aggressiveness as a tackler equal the potential for early special teams snaps and eventual third safety reps. His path to the roster is very clear and his arrival could force out veteran Chris Maragos if the coaching staff is impressed early. And, finally, just because Dallas Goedert is second on the Eagles depth chart to Zach Ertz doesn't mean you should ignore him when its comes time to draft your fantasy roster. Who's this year's Kareem Hunt or Alvin Kamara: a midround pick with a lot of fantasy value?